Carbon Poker provides one of the better signup bonuses for new players. Not only will you receive a 100% match up to $500 but you will also qualify for special freeroll tournaments using Carbon Poker coupon code EPB500. 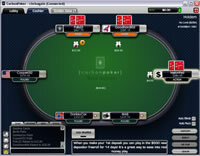 Carbon Poker is also offering many exciting promotions and campaigns for all players. Find out more about the Carbon Poker Promotions. Once you have made your first deposit and use the coupon code, you will also qualify for 14 days of Carbon Poker new player freerolls. These are actually quite valuable since they are only awarded to new players and the freeroll prize pools total $500 each. The player who finishes first usually takes home over $100 and more importantly, these freerolls are paid in cash, not bonus dollars like other rooms. You can withdrawal your winnings if you like or play with them. 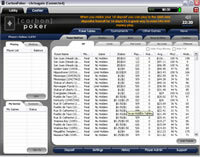 Carbon Poker provides various payment processors for players to choose from, including deposit options for USA players. One of the benefits to this program is the preferred payment bonuses you can receive by choosing to deposit at Carbon using one of their preferred options. These are instant bonuses, which mean the amount will be automatically added to your bankroll plus you can combine these offers with the original coupon code we provided above to give you two bonuses. The Carbon first deposit bonus requires players to earn frequent player points first before it will be released into their account. Players will need to earn 600 points for every $1 in bonus dollars issued to you. A player clearing a $50 bonus will need to accumulate a total of 35,000 points. This number seems quite high in respect to other rooms, but Carbon is a little more generous in awarding comp points for raked hands and tournaments fees. Stakes at the $0.10/$0.25 up to $0.50 - $1 will earn 3 points per raked hand. This will increase up to 10 points per hand once you reach the $4/$8 FL or $5/$10 NL levels. Tournaments are slightly different. Each time you register for a tournament, the registration lobby will display the amount of points that tournament will award you. The Carbon Poker bonus is awarded in $10 increments.